A garage will definitely add value to your home whether it be integral attached or detached. When planning a detached garage there are considerations to make the garage more user friendly for the whole family. If the garage building was not included in the original house plans you will able to instruct your architect to draw up a set of plans that can be submitted to the planning department of your council. Your neighbours will be notified of your planning application and if they are not happy with another building, especially one that accommodates vehicles they could well object to your plans. Try to keep them abreast of your intentions so that it is not a shock when the letter arrives. You can apply for finance for the loan to build your detached garage in the same way that you applied for your house build mortgage. 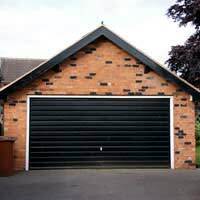 As the garage will add value to the property there should not be any objection to your borrowing more money unless you are unable to repay the monthly mortgage repayments. Have you accounted for the laying of a solid driveway and the landscaping of the front garden area once the build is complete? This can add dramatically to the cost of building a detached garage. When designing the detached garage try to get as much from the building as possible. Would it be possible to have a double garage, this is very desirable as so many households have more than one car these days. Would it be possible to add a workshop or utility room to the garage plans – again an added bonus if you were to sell the property? How about making the detached garage a double story building? If it were over a double garage there could well be enough room for a granny flat or a hobby room over the garage. If you like to work on your vehicles perhaps as a hobby or even a profession you may like to include room to work on the car under cover. Plan to add a pit in the floor of the garages and also have room for tools and other equipment. You may well drive a small car many people do these days but when designing your garage ensure that the internal size will accommodate larger vehicles as well. This means that the driver should not have trouble getting out of his door once he has driven into the garage. A small garage is of no use to any one and cars will then have to be parked in the road outside the home which will affect the insurance cover and safety of the vehicle. How would the addition of a garage affect the view of your garden? Obviously it would have to be approachable from the road but is this eating into your garden area? Most new homes have to have off road parking available or the planning application will not be passed by the local authority. Again you neighbours can complain if the front area of your home is left looking like a building site so you need to make plans for tidying the site after the build is complete.